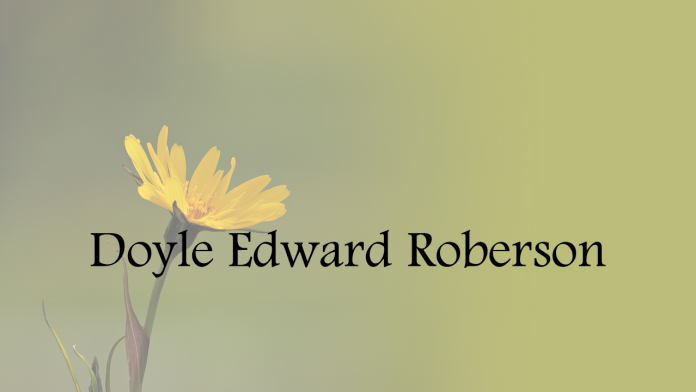 Doyle Edward Roberson, 76, of Cullman, passed away March 21, 2019. He was born in Cullman December 28, 1942 to Doyle H. and Ellen Williams Roberson. Funeral services are Sunday, March 24, 2019 at 2 p.m. at Mt. Zion Baptist Church with Rev. Randy Sellers officiating. Interment will follow in Welti Cemetery. Mr. Roberson will lie in state for one hour prior to the service at the church. Survivors are: wife Judy Sparks Roberson, daughter Mendi (Chris) McEachern, sons Ed Jr. (Michelle) Roberson, Lance (April) Roberson, sister Shirley Persall, grandchildren Kyle and Lauren Roberson, Isabella and Lily McEachern, Olivia and William Roberson.